One hundred people listen to presentations crammed into a room in Istanbul, defying the oppressive summer heat and attentively taking notes. Their aim — to ensure Sunday’s elections in Turkey are not marred by election fraud. Opposition parties, associations and members of the public have united in an unprecedented way to organise monitoring of the polling stations to check for any irregularities. With President Recep Tayyip Erdoğan seeking a new mandate as well as a majority for his ruling party, the margins could be tight and activists want to ensure there is not the slightest risk of foul play swinging the results. 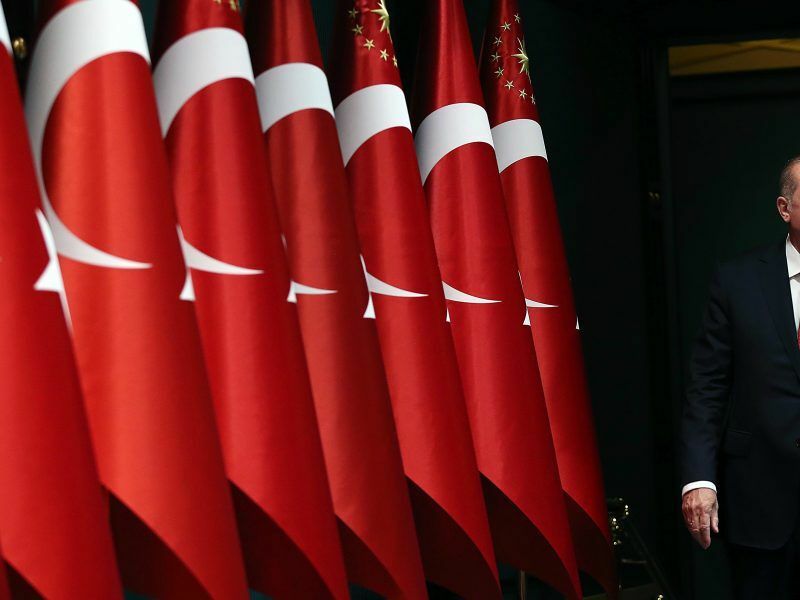 President Recep Tayyip Erdoğan on Wednesday (18 April) called snap elections for 24 June, saying economic challenges and the war in Syria meant Turkey must switch quickly to the powerful executive presidency that goes into effect after the vote. Turkey generally has an excellent record in recent years on election transparency and producing results that are accepted by all sides. But the implementation of a controversial new election law and accusations by the opposition of irregularities in the April 2017 referendum on a new constitution has intensified interest in election monitoring. Turks living abroad are turning out in greater numbers to vote in a referendum on changing the constitution to create an executive presidency, President Recep Tayyip Erdoğan said yesterday (11 April), a development that pollsters say could benefit him. “We are worried. The referendum had a major impact on us,” said Selcan, 35, who was taking part in a training workshop in Istanbul organised by Turkish election transparency NGO Oy ve Otesi (Vote and Beyond). Selcan and thousands of others like her will be in position Sunday in polling stations in Istanbul and across the country, watching keenly for any violations. “The more monitoring there is, the less problems there are going to be,” said Gozde Elif Soyturk, the head of Oy ve Otesi, which is looking to train 50,000-60,000 monitors before the vote. 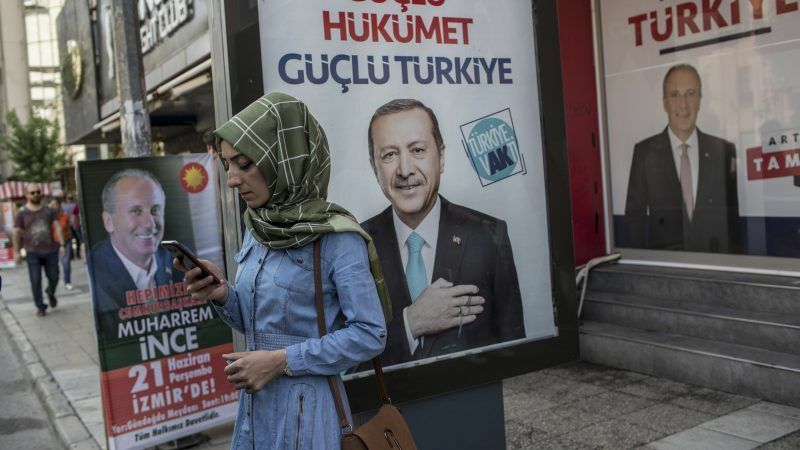 Associations had to rush to organise themselves and get to grips with the new election rules after Erdoğan called the snap polls, bringing them forward from the scheduled date of November 2019. A measure that has been of particular controversy has been accepting ballot papers without the official stamp of the election authorities as valid votes. Turkey’s Supreme Election Commission (YSK) first accepted such ballot papers in the referendum, prompting the opposition to cry foul, saying one of the main barriers to ballot-stuffing had been removed. “This will truly be the main thing to watch,” said Yasemin Ulusan, a lawyer with the Istanbul bar who has been organising seminars for colleagues who want to observe the elections. For Sunday’s polls, some 30 bar associations have got together to send lawyers into the polling stations. “From Sunday 6:30 am we will put in place a crisis centre” to receive any complaints, said Ulusan. In a sign of their concern, the opposition parties have joined together to create a “Platform for a Fair Election” which will carry out a parallel count with the help of a mobile app that will be downloaded on observers’ phones. Erdoğan’s main rival in the presidential race, Muharrem Ince of the CHP, has declared he will “camp” outside the Ankara headquarters of the YSK after voting on Sunday. Another, more traditional safeguard, comes from international observers, with the OSCE deploying a mission of 12 staff in Ankara and 22 long-term observers across the country to monitor the conduct of the polls. The YSK chairman Sadi Guven, who rejected that there had been any irregularities in last year’s referendum, vowed Tuesday that the results would be communicated “in all transparency” to the parties. The mobilisation to monitor elections may be due to the fact that the new president will have more powers than any other recent Turkish head of state under the changes introduced under the referendum. One of the biggest concerns of the observers is the situation in the Kurdish-majority southeast, where in certain areas a strong anti-Erdoğan vote is awaited. The Kurdish vote will be crucial in the parliamentary polls, where the pro-Kurdish Peoples’ Democratic Party (HDP) could thwart the ruling party of Erdoğan keeping its overall majority by polling over the 10 percent threshold needed to win seats. “In the southeast, the number of observers is weak if you compare it with the big cities like Istanbul,” said Soyturk. The authorities have adopted “security” measures in the southeast that will see several polling stations moved and the HDP has stepped up its calls to mobilise observers. “Protect your vote from the evil eye,” it wrote on Twitter above a picture of Erdoğan.